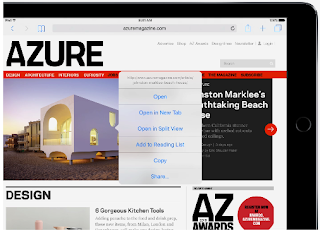 iPad is a versatile device that embeds tons of interesting features that are not immediately visible to the lay user. Knowing how to operate these features can make a whole difference in your productivity and transform your iPad use experience. 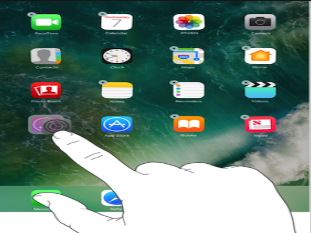 For those of you using iPad in their teaching, the need to delve deeper into iPad's hidden features is even bigger. 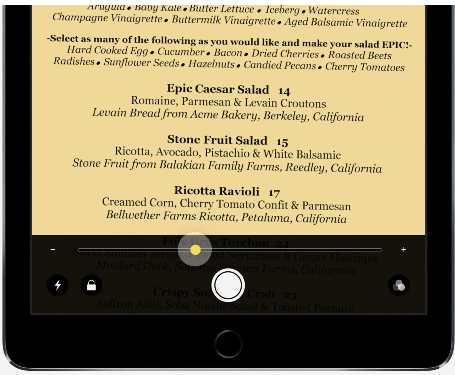 You can use the same sources we used for writing today's post, Apple's Tips app and iPad User Guide for iOS 10.2, to learn more about your iPad and make the best of it in your instruction. We have gone through guidelines provided there and came up with the list below. 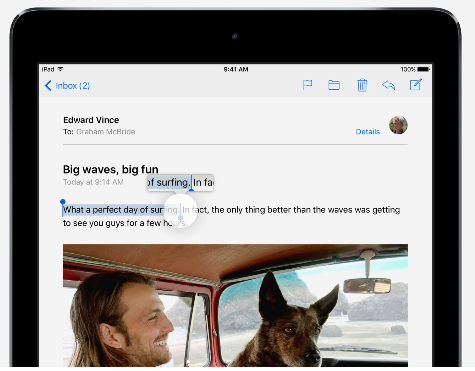 These are useful iPad tips/features we think you need to know about as a teacher or parent. While most of these tips work on iOS 10 and up some are exclusive to iOS 10.2. Check them out and as always share with us your feedback in out Facebook page. Press the Home and Sleep/Wake buttons simultaneously. The picture is saved to Screenshot album in Photos. 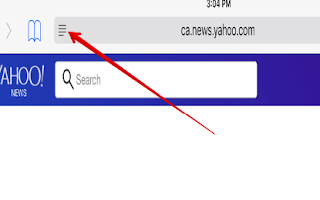 Safari allows you to remove clutter in a webpage and leave only text and photos, in the search filed, tap on the button with the four lines. 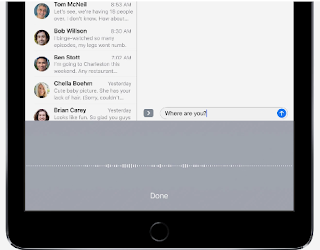 To voice write a message click on the mic icon on the keyboard and speak your words (including punctuation) and then tap Done. To enable iPad to speak selected text or entire screen , go to options in Settings, click on General, then Accessibility, and select Speech. 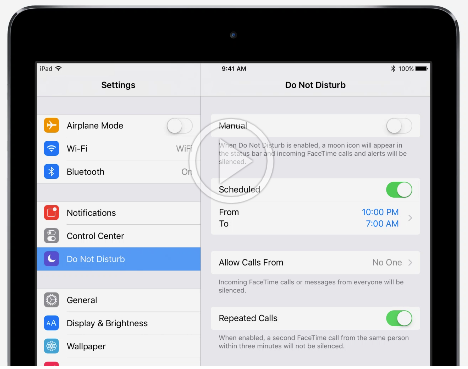 Do Not Disturb mutes your iPad to incoming calls and alerts (except Alarm) when it is locked. To schedule it ( e.g., for overnight) go to Settings and click on Do Not Disturb. 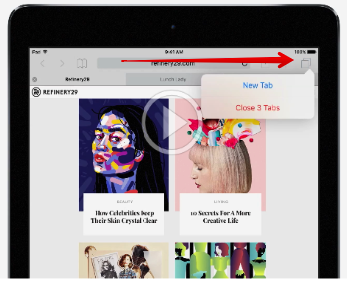 Touch and hold the ‘Show all tabs’ button in top righthand corner. To save a webpage as a PDF in Safari, click on ’Share’ button and tap Print. Pinch the first page of the preview, then tap ’Share’ button to save or send the document. 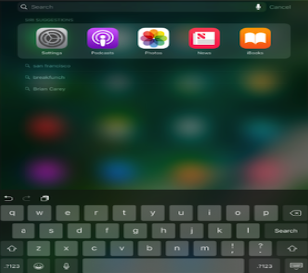 Use iPad Spotlight Search to search for information in your iPad, the Internet, or in other apps. Swipe down from the Home screen to show Search. Tap an item to get more information or tap the search field. You can create shortcuts to your favourite words or phrases. Go to settings > General > Keyboard and tap Text Replacement. Go to Settings > General > Keyboard > Keyboards > Add New Keyboard. You can also change the keyboard layout by going to General > Keyboard > Keyboards, select a keyboard and choose a layout. 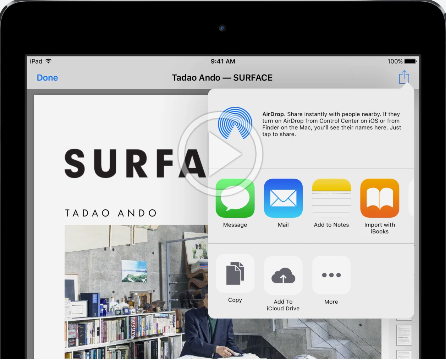 To create a folder, drag one app into another then tap the name of the folder to rename it. 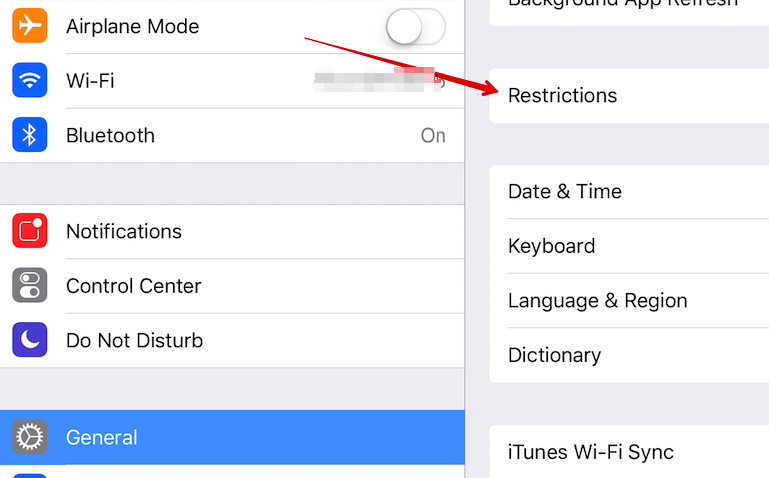 Use restrictions to ‘ prevent the use of certain apps, the installation of new apps, or changes to accounts or the volume limit’. Go to Settings > General > Restrictions, and tap ‘Enable Restrictions’. AssistiveTouch 'allows you to use your iPad if you have difficulty touching the screen or if you require an adaptive accessory.' 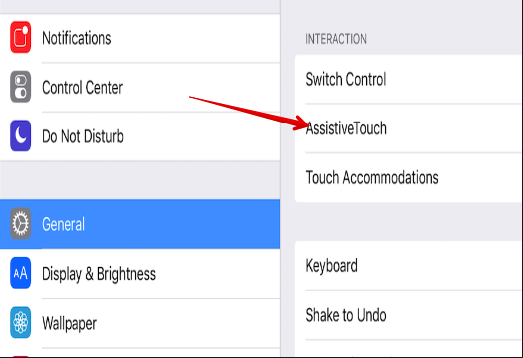 Go to Settings > Accessibility > AssistiveTouch.